Air & Sea has had a great start to the Ocean Business 19 expo. Blom Fiskeoppdrett AS has completed over 1430 hours of in-water work with their V8 M500. Swedish Public Service Television (SVT) has covered the public preview of the Thunderwasp air drone. The Air & Sea Thunderwasp air drone has been unveiled publicly at UAS Forum Sweden 2018 in Linköping. The Thundewasp and Locust drones can carry up to 1000 kg and can remain airborne over over 8 hours. The V8 L3000 Offshore and V8 M500 Intervention drones can travel at speeds of 3 knots at depths of 3000 meters. Planning, execution and reporting of synchronised drone operation is simple with the SPOT.ON software. Our revolutionary air and sea drone range offers a solution for every need, market and mission. Combining the ACC Innovation air drones and the Ocean Modules sea drones with the SPOT.ON Survey Management System provides an entirely new approach to security and safety. Learn more about the Air & Sea concept, the companies behind it, and the development and production philosophies supporting it. We are working hard to bring all the details online, please bear with us and check back often for the latest development! Our drones can be used for surveillance, environmental cleanup, underwater cable fault identification, power line inspection, ship hull inspection and heavy construction. 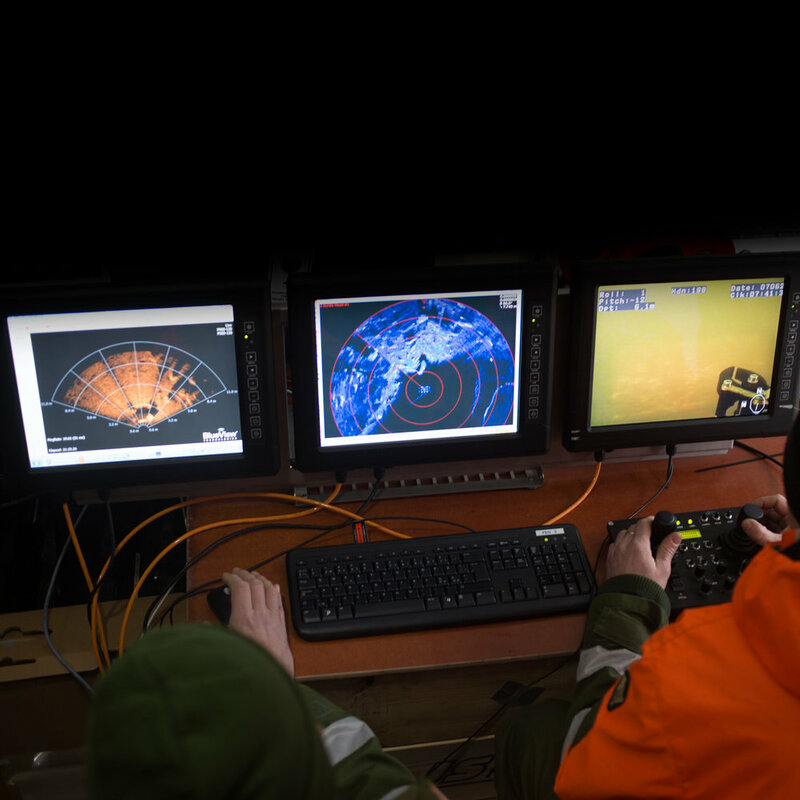 Combining air drones, sea drones and survey recording and management software make entirely new and previously unattainable levels of coverage possible. Find out what our technology could do for you! Search and rescue operations, environmental documentation, science and research, border protection, emergency relief and firefighting can be accomplished more effectively and with less risk to human life by our drone technology. Multiple perspectives and full area canvassing not previously possible is provided through linked sea and air drones using our powerful command and control software. Our scenario descriptions present new applications for integrated drone technology. The ISO 9001:2015 standard is based on a number of quality management principles including a strong customer focus, the motivation and implication of top management, the process approach and continual improvement. Feel free to send us a message requesting more information, a quotation or just say hi!